Since the start of the adventure, the founders of the projet and the members of the association have wanted to make a joint effort for the project, collaborating with other organisations in the region which are interested in and already working towards similar goals. The technical aspects, feasibility studies, financial planning, development of the strategical reflection as well as the general piloting activities were carried out in close partnership with the other two similar projects in the region. These two other projects (Faux-La-Montagne and Chambonchard) were developped in the area of Creuse in the north east of the Limousin. 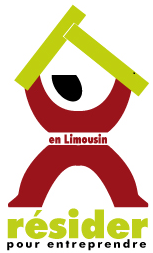 The welcome service in the Limousin plays the role of ‘kingpin’ in relation to the co-ordination, capitalisation and organisation of the network for the ‘Stepping-Stone’ Houses. The welcome service is carried out locally by the occupation of different posts called the ‘Pôles Locoux d’Accueil’ which are spread across the Limousin region. The local associations, consulat chambers as well as the professional organisations which work within the domain of business start-ups and business take-overs in the Limousin make up the network which Résider pour entreprendre relies on in order to carry-out its accompaniment of the would-be entrepreneurs. Certain communties and local associations working with the social-ecomonic and cultural domaines are also included within the network on which Resider pour entreprendre relies for the needs of certain would-be entrepreneurs and their family.